Well, there’s a secret to these results. 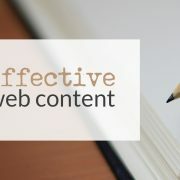 You can’t drive web traffic with simple writing and no SEO techniques. Your content needs to be well-written and optimized for search engine results. Your best bet is to hire a marketing agency. These professionals are skilled and experienced, so they can handle your marketing efforts. When you see your increasing web traffic, you’ll understand why marketing agency makes a world of a difference. Are you still not convinced? Or do you need more information on marketing outsourcing? Continue reading and find out 10 reasons why you’ll benefit from a marketing writer. In the world of marketing, there are two forms of advertisements: organic and inorganic advertisements. Organic advertising is the method content writers use; they use techniques such as SEO so your website dominates in search engines and on social media. 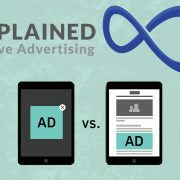 The other advertising method is inorganic, which is paid advertising. These advertisements are commonly seen as search engine ads and as banner ads on websites and social media pages. Here’s a secret: if your organic advertising methods are successful, you’ll have little or no need for paid ads. This isn’t saying inorganic advertising is bad and you shouldn’t use it. But great content and content marketing skills will help cut advertising costs. Writing your own content can be a drag. You have to make time for research, quality control, on top of actually writing and publishing your content. It’s recommended you write at least four articles a month for consistent engagement. With everything else on your plate, do you have enough time to write an article every week? When you outsource a marketing agency, you get plenty of written content. Depending on your niche and the agency’s experience, you won’t even have to create the article topics. The agency will find trending topics and keywords that will ensure your website ranks. There’s another reason why you need to publish consistently. It’s competition; so many other companies publish content. The best way to stand out is if you publish constantly and if your content is always well-written. You’ll spend a lot more time and money hiring someone than by outsourcing an agency. When you hire a professional in-house, you need to pay them an hourly wage or a salary. Oftentimes, they will ask for a wage you can’t afford. On top of that, you have to pay benefits and spend more money on an office. This can stretch you thin financially, especially if you decide to hire multiple staff members. If you own a major enterprise, this probably isn’t a problem. But if you own a small business, you’ll benefit more when you outsource a marketing agency. Marketing agencies are cheaper than hiring an in-house professional and you don’t have to pay benefits. Let’s say you decided to hire a writing and marketing team. You’re not only paying their wages and benefits. You’re also paying for the resources they need. Marketing and writing professionals need more tools to measure your search engine performance. 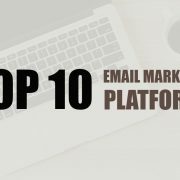 This includes keyword tools, SEO ranking tools, competitor research tools, analytics and SEO metrics software, and even a solid CRM platform. These tools can easily cost you a copious amount of money. 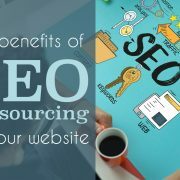 When you outsource a marketing agency, they already have the tools they need to boost your search engine performance. You just pay them a fee, usually every month. There may be an extra fee they charge to cover their marketing tools. But you can easily save thousands by outsourcing an agency rather than hiring in-house. When you hire writers, you have more on your mind than just your search engine performance. You wonder if your writers are truly doing their jobs and working to their full potential. 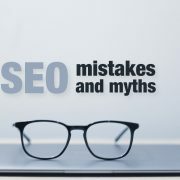 If you notice your search engine performance isn’t improving or you notice your content is poorly written, you wasted a lot of money on a bad employee. When you outsource an agency, you’re only getting the best quality work. Agencies jump through hoops to hire the best employees in the business. They know who is fit to work for their business and who isn’t. You have the peace of mind knowing you’ll only receive the best work. They also set strict deadlines to ensure your work is finished the time you requested. You don’t have to stress about receiving bad content or no content at all. Are you unsatisfied with your service? No problem — all you have to do is cancel. Each company will have their own cancellation policy, so it’s best to review their policy before you stop paying. But the cancellation process is easier than firing an employee. When you fire an employee, you have to jump through many legal loopholes. You have to set up their unemployment benefits and handle difficult tax paperwork. What if your former writers saw their lay off as legally wrong? They can sue you. And the cycle starts over again: you hire new writers, they don’t work out, and they get fired. Save yourself a headache and outsource a marketing agency. When you hire in-house writers, do you hire editors? If not, who’s the one who has to handle quality control? Unless you take the time to review your articles, you’re putting the trust in your writers. But with the pressure to release lots of articles every month, will your writers carefully check their articles? Marketing agencies have a system. They hire writers and editors. The writers produce well-written content and the editors make sure your content is perfect. Your content is well-written and error-free. The writer will choose high-ranking keywords with low competition. 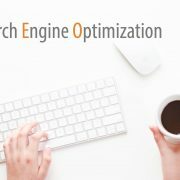 Your content will also be optimized with these keywords and other SEO techniques. Your content is engaging and relevant to your industry. No content is worth it unless it’s quality. You’ll reap the most benefits when outsourcing an agency. Are you in a niche market? Most business owners in niche markets hire in-house. They can train their staff or hire someone with previous experience in their industry. And it’s understandable why. In some cases, well-written content depends on expertise in the field. Search engine ranking and customer analysis techniques are beneficial, but industry knowledge also makes the world of a difference. But if you look deep enough, you can find agencies that specialize in your market. If you look at agency portfolios, you may even see they worked with other companies in your niche. When you outsource a marketing agency, they have intricate knowledge of SEO and SEM (search engine marketing). They know the ins and outs of Google and how they judge your search results based on your content. 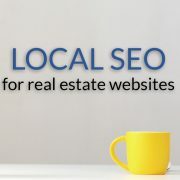 In addition, you can request specific SEO needs such as local SEO techniques. The writer will research your local market and the ways your business can rank locally. Whether you use traditional SEO or a niche SEO, your company will benefit from higher website traffic and increased sales. You won’t have to research complex SEO skills and knowledge and you won’t have to spend time finding a writer with this knowledge. You may think you’re the best company and you’re the best at what you do. But when you express this in writing, it comes off as boastful. 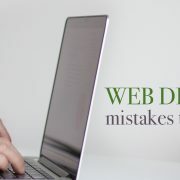 This can deter website visitors — and ultimately customers. When you outsource a marketing agency, they have an unbiased view of your company. They will state the facts and will write your content with a professional tone. Your content will sound boastful and won’t read like a sales pitch. Professional marketing writers can also think outside of the box. Writers are creative people. They can spice up your content by writing from different angles or making your company topics sound cool and interesting. Will You Benefit From Marketing Outsourcing? Your content should include powerful keywords, expert linking strategies, and revolve around trending topics. Achieving viral content is difficult if you’re a business owner. You could hire an in-house writer, but you’ll benefit more from marketing outsourcing. Marketing agencies only hire the best writers. Marketing writers have in-depth knowledge of SEO and write expert content. You can ensure your content will always have a professional voice and will deliver results. And you don’t suffer the stress of managing an in-house writing team. Do you need help with your content marketing and SEO efforts? Take a look at our services.